Tata Open Maharashtra organisers on Friday announced a slew of new initiatives including wild card entry for India No. 1 Prajnesh Gunneswaran. Honourable Chief Minister of Maharashtra Shri Devendra Fadnavis will inaugurate the upcoming Tata Open Maharashtra to be played at the Mhalunge Balewadi Stadium, Pune from December 31, 2018 to January 5, 2019. 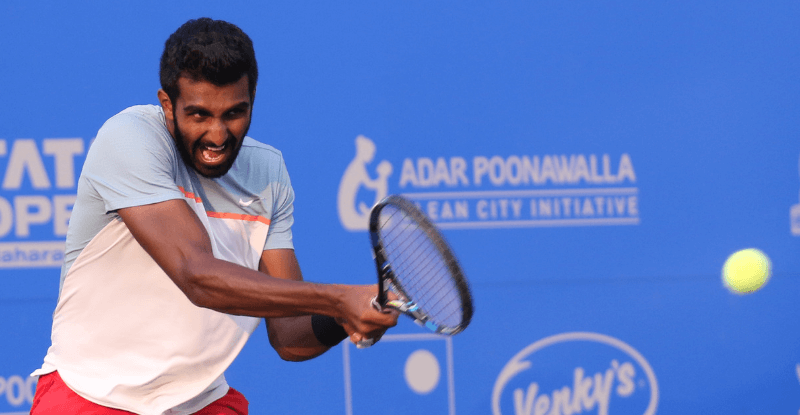 "Tata Open Maharashtra is one of Asia's best ATP World Tour event and we want to continue to grow to become the best by having the best players, providing best infrastructure, having partners who share our vision and give a platform to upcoming talents from the country like Prajnesh who has rightfully earned the wild card entry for the event," said Prashant Sutar, Tournament Director, Tata Open Maharashtra. The organisers also announced that the tournament will be broadcasted on Star Sports. "The event has brought great value to all stakeholders. 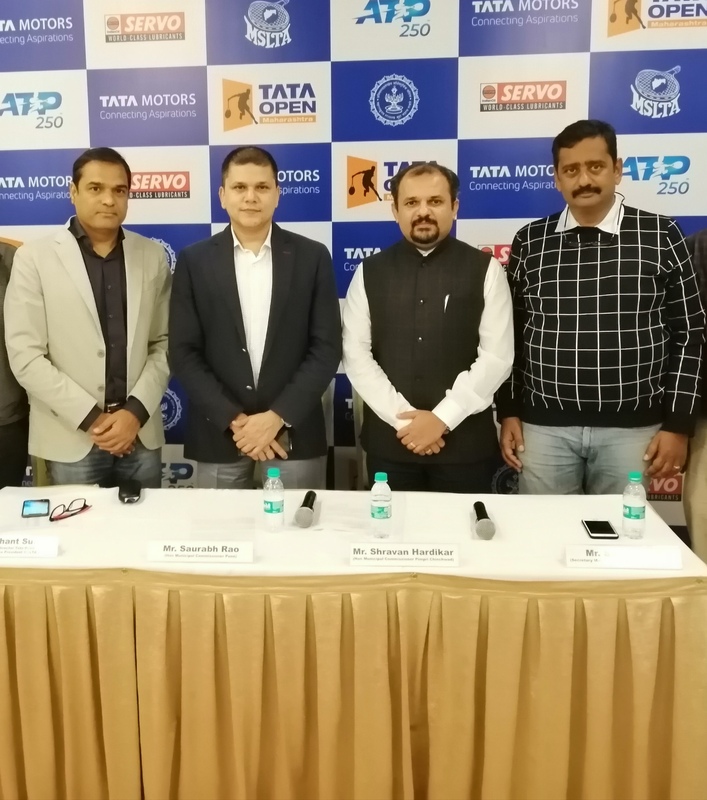 According to a SMG Evaluation Report of first season Tata Open Maharashtra is doing exceedingly well in traditional and social media both which means it's being well received by fans and tennis lovers across," said Sunder Iyer, Honorary Secretary, Maharashtra State Lawn Tennis Association. According to the report submitted, Tata Open Maharashtra is the most followed tournament across ATP 250, ATP 500 and ATP 1000 on Facebook. The total social media fans Tata Open Maharashtra has is over 350,000 higher than over 15 other ATP World Tour events. Total sponsorship value delivered was Rs. 731 Cr. "Venue is getting ready to host the event again and in no time it will be done. All demands for civic amenities for the event will be taken care by us. PMPL buses will be available for transport and most importantly security will be our top most priority during the tournament," said Saurabh Rao, Commissioner, PMC. Shravan Hardikar, Commissioner, PCMC said, "Prajnesh Gunneswaran and Ramkumar Ramanathan will be the two Wild cards while S.K. Mukund and Saket Myneni will go into the qualifiers for the Tata Open Maharashtra. Tennis fans in Pune will witness some of the world's top tennis players competing against each other including the best from India, all in Pune," said Hardikar. The year 2018 has been good for Gunneswaran as he achieved World No. 104 in November from 243 at the start of the year. His rise comes at the back of two Challenger titles in China and Bengaluru. The 29-year-old comes back to Pune after finishing runners-up at the KPIT Challenger held here less than a month ago. The Bronze Medal at the Asian Games was another feather in the Chennai-based player's hat. Ranked World no. 107, Gunneswaran will become the first Indian singles player in the main draw which has five players from top-50. For all these world-class players, the tournament will just be the much-needed head-start for the upcoming season including defending champion and World No. 30 Gilles Simon from France alongside World No. 6 Kevin Anderson from South Africa, World No. 7 Marin Cilic from Croatia, World No. 25 Hyeon Chung from Korea and World No. 45 Malek Jaziri from Tunisia.